In August, we decided to do something that had never been done before in the WordPress community. We created the WPBeginner Growth Accelerator, first-ever growth fund for WordPress-focused businesses. Today, I’m extremely excited to announce the first round of WPBeginner accelerator companies. Aside from announcement, I will also be sharing behind the scenes details and process at the end of this article (so keep on reading). 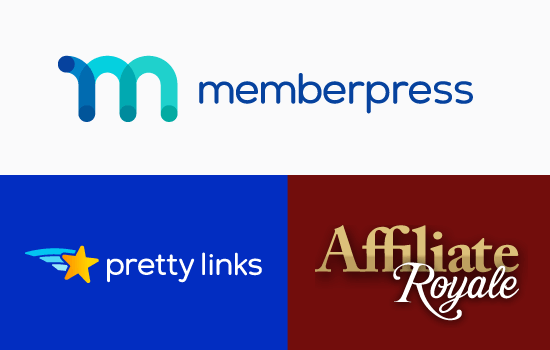 CaseProof is the parent company behind MemberPress, Pretty Links, and Affiliate Royale. If you have been reading WPBeginner for a while, then you probably know that we’ve been longtime fans of MemberPress. We believe it is the best WordPress membership plugin, and it is my preferred solution for creating a membership site in WordPress. Caseproof also have two other affiliate marketing related products that I am really excited about because we can add a lot of value to it from our years of experience. The first one is Pretty Links which is the most popular link tracking plugin in WordPress (used by over 200,000+ websites). You can use it for affiliate link management and turning your long affiliate links into easily trackable shortlinks. The second is Affiliate Royale which helps you create a full-featured affiliate program using WordPress. This allows you to add a referral program to your membership sites created with MemberPress, and it also works with other popular eCommerce providers like WooCommerce, WishList Member, etc. 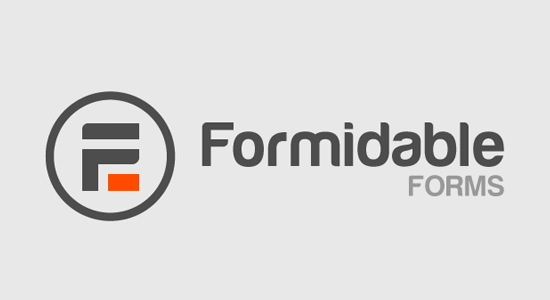 Formidable Forms is the most advanced WordPress form builder in the market. It helps you go beyond the basic contact form and build complex form-based solutions like directories, data management systems, calculators, quizzes, WooCommerce product forms, and more. Now you might be thinking, wait doesn’t WPBeginner already have it’s own WordPress contact form plugin? Yes I still believe that WPForms is the most beginner-friendly WordPress contact form plugin in the market. You can use Formidable Views feature to display any submitted form data on the front-end of your website to build data-driven web applications like real estate listings, employment listings, event calendars, business directories, job boards, and other searchable databases. You can use Formidable calculated fields to quickly build calculator forms like mortgage calculator, car payment calculator, BMI calculator, etc. You can use Formidable WooCommerce integration to create a product configurator form with cascading fields and then automatically send the data to WooCommerce art with variable pricing option. Basically Formidable Forms is freelancers and developers dream come true for building complex WordPress sites with low overhead. SeedProd is the most popular coming soon and maintenance mode plugin for WordPress. Currently it is being used by over 800,000 WordPress sites. It comes with 50+ pre-made templates and 500,000+ free stock photos to help you quickly create a beautiful coming soon page or maintenance page for your website. The pro version also comes with email marketing integrations as well as addons for creating a notification bar, countdown timers, custom login page, custom 404 page, and custom landing pages. 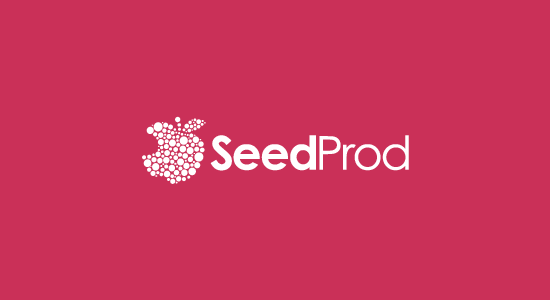 SeedProd is another product that we have recommended on WPBeginner since the early days. Unlike the Caseproof and Formidable, we actually ended up doing a full acquisition of SeedProd given the high synergies between our brands and existing products. SeedProd is officially an Awesome Motive product, but they will also be part of the first WPBeginner accelerator class as well. Please help me welcome the first 3 WPBeginner Accelerator companies by giving them social media love and trying out their products. I have already met up with the founders of all 3 companies last month when they flew to West Palm Beach, FL. We had detailed conversations and started working on implementing our checklist. Each of them have an amazing roadmap of new things that are in the works (which of course I can’t share just yet). I’m really looking forward to sharing my experiences and helping these WordPress companies succeed by building more user-focused products. I honestly had no idea what to expect when I created the blog post to announce our accelerator fund. Nothing like this have been done before in our industry. I looked at other accelerators for guidance and made our application process as simple as possible. In total, we had over 90+ companies apply to be part of the WPBeginner accelerator. This was pretty awesome, but it also made the decision process really hard. I got a chance to talk with amazing entrepreneurs who’re doing great things in the WordPress ecosystem, but ultimately we had to pick the top companies from the group. Initially I wanted to select 5 companies to be part of our first round, but after having numerous conversations with entrepreneurs who applied, I decided to reduce the number down to 3 because I wanted to make sure that I can properly fulfill my commitments. Considering some of the companies that we invested in have multiple products, it made sense to limit the first class of WPBeginner accelerator to 3 companies. We will likely re-open the accelerator in 6 – 12 months depending on how smoothly the implementation goes with our first round of companies. The number of applications in the first-round shows a lot of promise and definitely validates my idea that a WordPress-focused investment fund is needed. Aside from an accelerator, there might be some opportunity for an incubator fund to provide seed investments for early stage product ideas / development. That’s all for today. Thank you so much for your continued support of WPBeginner. The post Introducing the First Round of WPBeginner Growth Accelerator Companies appeared first on WPBeginner.